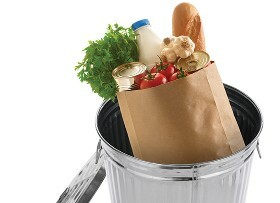 Food Spoilage Insurance Coverage in Washington D.C. Choose an insurance provider that offers a full suite of options tailored to the specific needs of your food service business. Our food spoilage insurance in Washington, DC, protects your restaurant from a catastrophic loss caused by a power outage. Whether you run a high-end eatery or a favorite local brewpub, Lockhart’s Insurance Service has the food spoilage coverage you need to protect your food inventory operating captial. The Nation’s capital is home to some of the most exclusive eateries in the world, and these restaurateurs understand the importance of using fresh ingredients from all over the world. These food ingredients represent a serious investment on the part of the business owner. Any disaster that causes the restaurant to lose power could cause these food ingredients to spoil and become a total loss. Start a conversation with our agents about your current restaurant insurance policy. You may find that a freezer failure is covered, but the food inside is not. Many policies are issued with high deductibles, and the coverage for spoiled food could be capped at $500. For an exclusive bistro in Dupont Circle or Adams Morgan, the financial loss involved with ingredient spoilage could dwarf such a payout. Prepare for any eventuality and give your stakeholders a higher degree of confidence in the direction of your restaurant. Learn about the differences between insurance coverage for equipment failure and policies designed for the spoilage of food. We understand the challenges faced by a small business owner in such a competitive market. Many have policies that won’t cover spoilage until the business owner can prove that an equipment malfunction caused the spoilage. You should never assume that the policy you carry covers the spoilage of food specifically. Many find the process of submitting a claim for a broke freezer is the simple part of the process. Freezer failure food cost reimbursement should specifically be written into any policy you purchase for your restaurant. Provide your employees with a greater degree of confidence and start focusing on preparing food that is sure to make your eatery a legend in the neighborhood. Contact us today for food spoilage insurance for your restaurant to protect your investment in your food inventory. We proudly serve clients in Washington, DC, and throughout the state of Maryland.